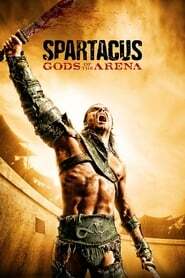 Spartacus: Gods of the Arena [Completed] In the time before the arrival of Spartacus, the House of Batiatus faces many challenges from competitors, and within its own household. Spartacus [Completed] The life of Spartacus, the gladiator who lead a rebellion against the Romans. From his time as an ally of the Romans, to his betrayal and becoming a gladiator, to the rebellion he leads and its ultimate outcome.